At Waxing Station by Glow Med Spa, we have the best Waxing Techs in town. Each Glow Girl is trained in the art of our Painless Brazilian Wax and will make your experience super SWEET no matter what you’re waxing! Shia has been working in the skin care industry for over 12 years, during which time she has gained knowledge and experience in all aspects of skin. 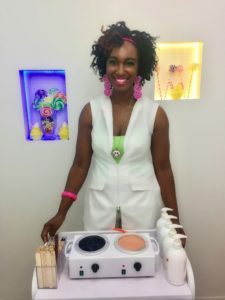 Nakisha’s love for Glow Med Spa and her passion for education lead her to tap into another aspect of the spa industry. She decided in 2013 to further her education and attend and received her Waxing Technician certification. 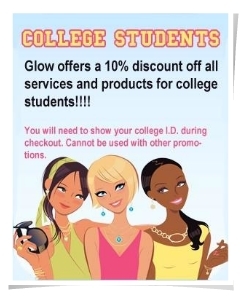 This allows her to not only make people feel great with massage, but also look great with Glows awesome waxing technique. With her background as a massage therapist she sets a fun, calming, and relaxing experience in the waxing room. Nakisha plans to one day become a master esthetician to provide a 360 service at Glow Med Spa. If you’ve been coming to Glow Med Spa for a while now, you’ll be excited to know our superb front desk coordinator for over 5 years, Jennifer, has decided to pursue a career as a Waxing Technician at the Waxing Station! Known for providing excellent customer service and having a passion for the spa world, Jennifer knew that getting her waxing license would be a great start to her new endeavor. While training with the Waxing Station team, Jennifer realized the wonderful connections made with each and every client. It truly feels like working on friends! With her calm demeanor and attention to detail, not only will you be at ease during your service but you’ll also receive a exceptional service with outstanding results. Schedule a wax with Jennifer today! Amanda comes from a career background in makeup artistry. After living in Los Angeles for 8 years and learning a great deal through her education and clients, she soon developed a love for healthy skin and what it took to achieve that. She knew the spa industry would be the best option to pursue this passion, and Glow Med Spa was the perfect home for her as she began her new career path! Beginning as a Front Desk Coordinator and quickly receiving her certification in wax technology this past year has been such an exciting start to her esthetics journey. Amanda creates a warm, cheerful and easygoing atmosphere while achieving 100% client satisfaction at our Waxing Station. 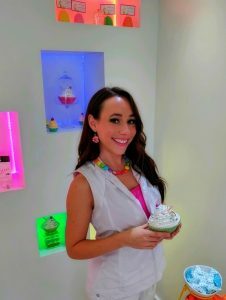 Come see what our newest Wax Technician at Glow is all about! All of Glow’s Waxing Technicians are continually furthering their knowledge base in order to provide excellent services and exquisite treatments. We enjoy providing a fresh and SWEET environment and sharing skin care tips and recommendations with you every visit to Waxing Station in Cary Town.